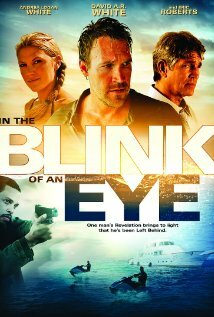 Buy or Rent In the Blink of an Eye (2009) Movie DVD & BluRay Online! Movie Plot: A vacationing detective begins to suspect that the Biblical apocalypse is at hand after being forced to relive the day of the Rapture time and again.What was supposed to be the perfect vacation comes to a horrific crossroad for Detective David Ramsey. Aboard a private yacht on the shimmering Sea of Cortez, his wife and friends suddenly disappear. During the investigation, David begins to unravel the evidence surrounding a worldwide Nostradomic event revealed in ancient Biblical prophecies. Starring Eric Roberts (The Dark Knight) and David A. R. White (Mercy Streets).